This pleasant detached three bedroom villa with communal pool is situated in Vista Montana, Benitachell only minutes drive from the centre of Moraira. 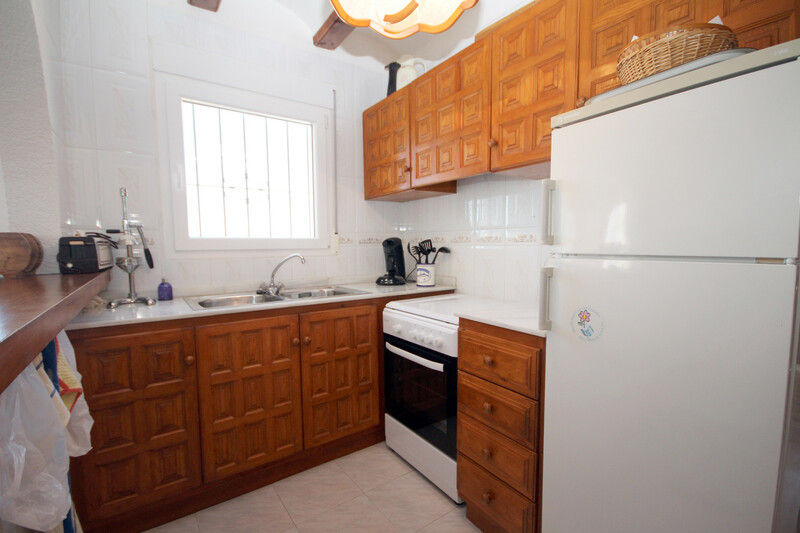 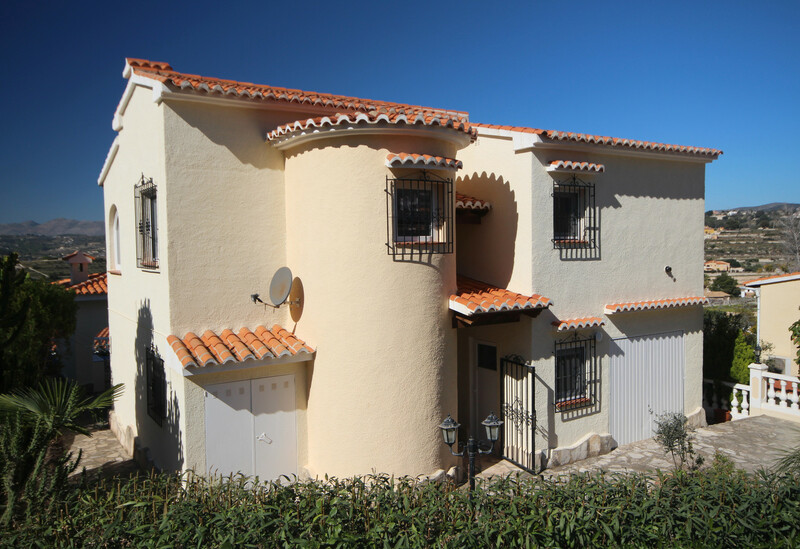 The pleasant detached villa is offered for sale fully furnished and is situated on the tranquil residential urbanisation of Vista Montana, Benitachell. 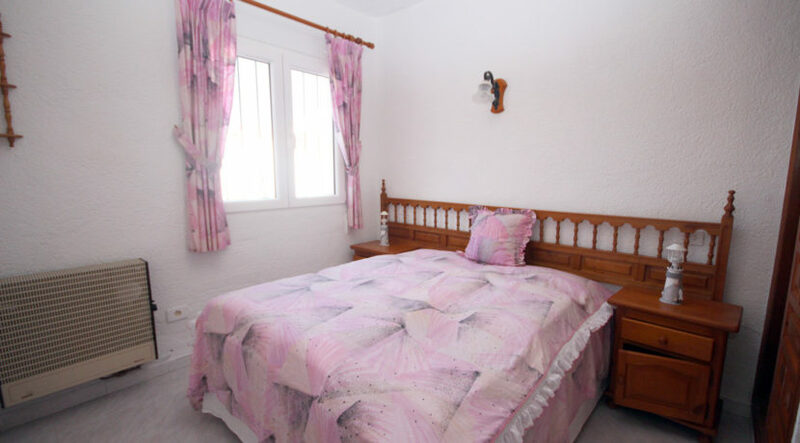 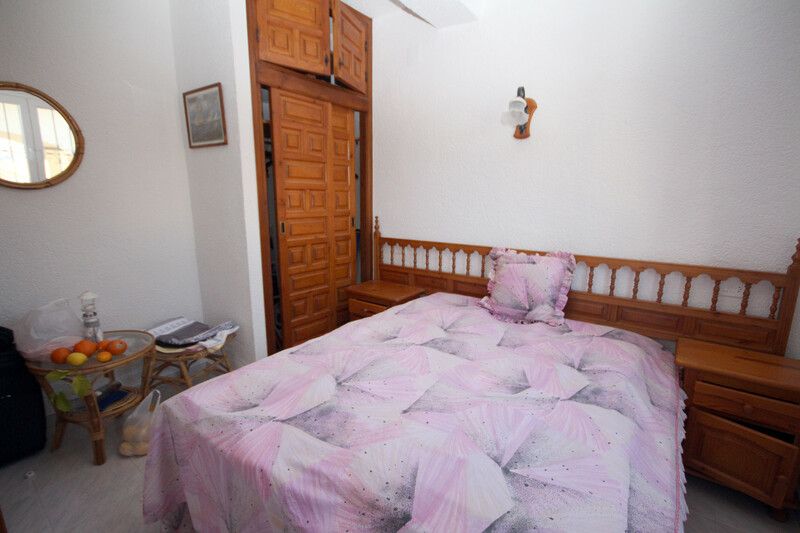 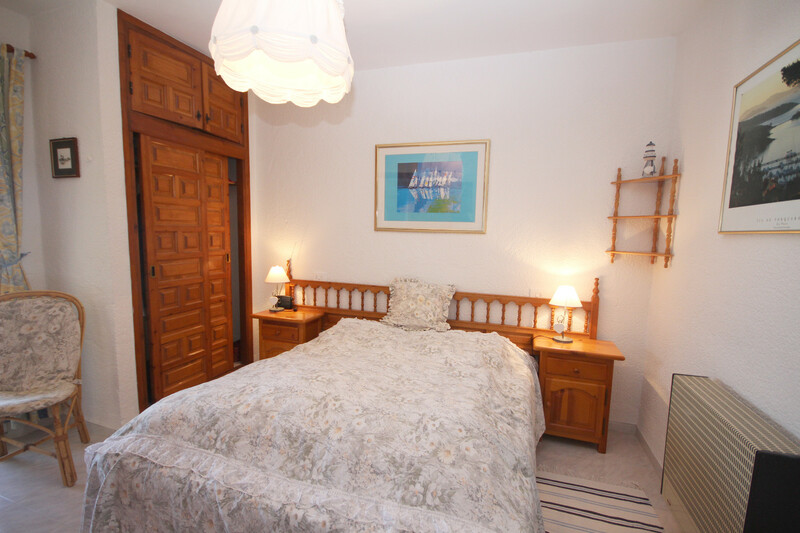 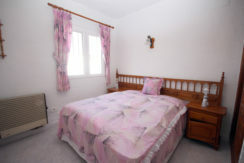 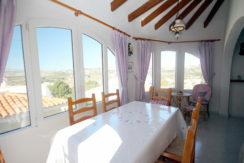 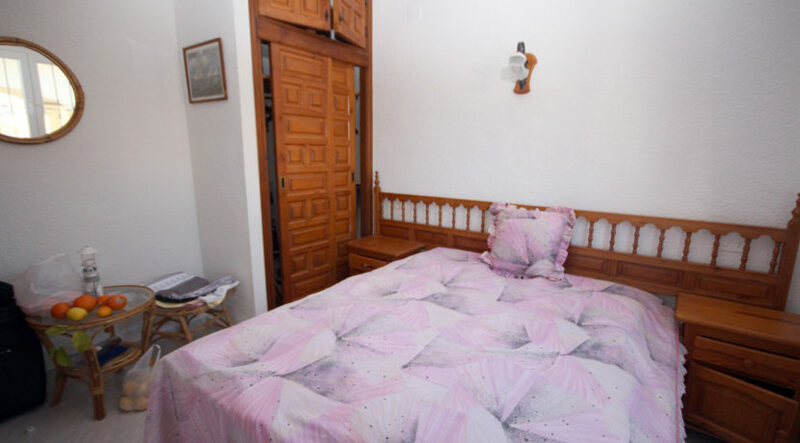 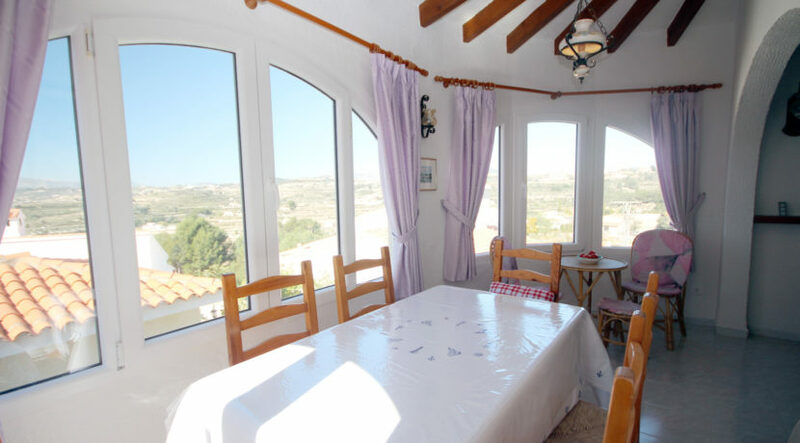 The villa boasts three double bedrooms, two bathrooms and use of the communal pool. 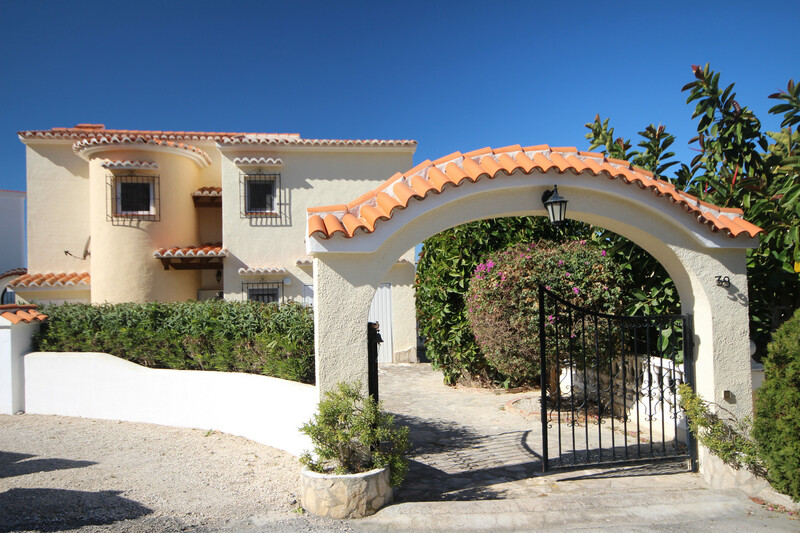 From road side, vehicular gates open on to a paved driveway and an integral garage with up and over door. A path leads to the front porch protected by a reja gate, where to the right is a separate utility room containing the domestic heating boiler and washing machine. The front door opens into a spacious entry hallway where there are two double bedrooms both with fitted wardrobes and a central heating radiator. 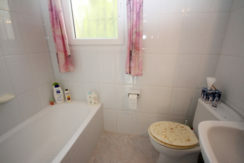 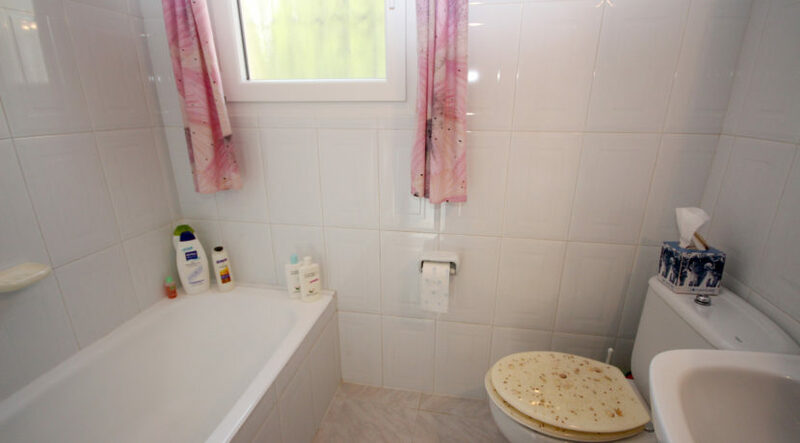 Separating the two double bedrooms is a fully tiled family bathroom. 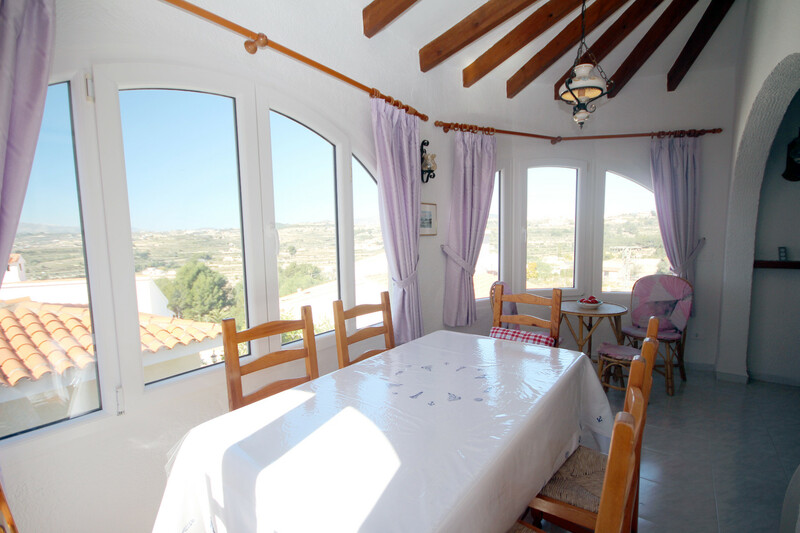 An internal staircase leads to the upper level and the open plan lounge dining room and kitchen. 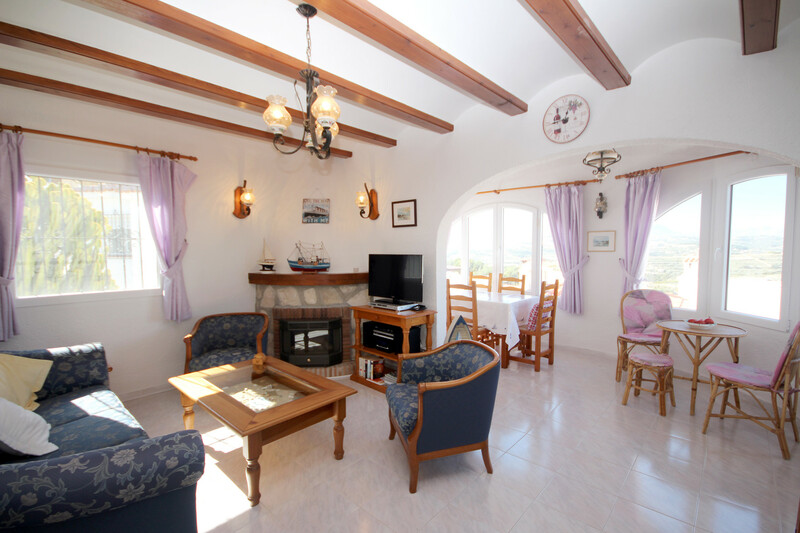 The lounge has a feature fireplace with stone surround and a traditional beamed ceiling, an arch leads through to the formal dining area with terrific views of the open countryside beyond. 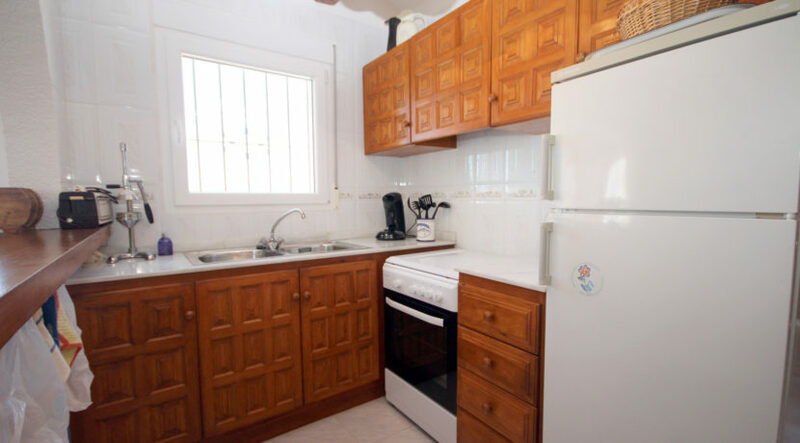 To the right is the kitchen with a wood breakfast bar, twin stainless steel sinks, free standing cooker and fridge freezer. A door at the rear of the kitchen leads through to the master bedroom with fitted wardrobes and a fully tiled en-suite shower room. 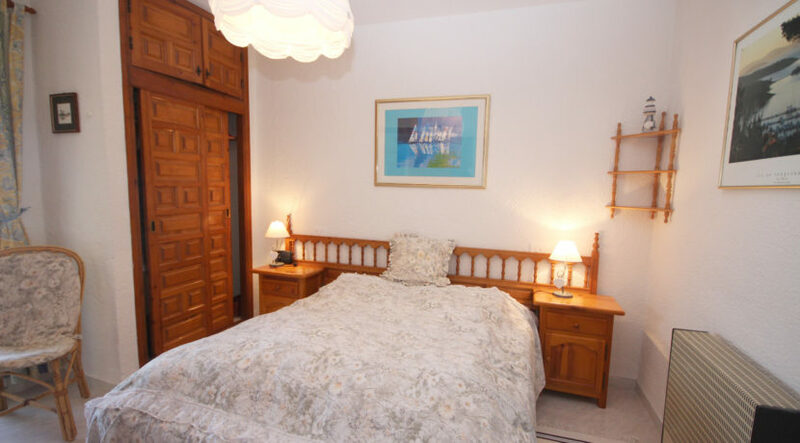 The master bedroom also has a door leading out on to a nice sun balcony with more terrific open valley views. 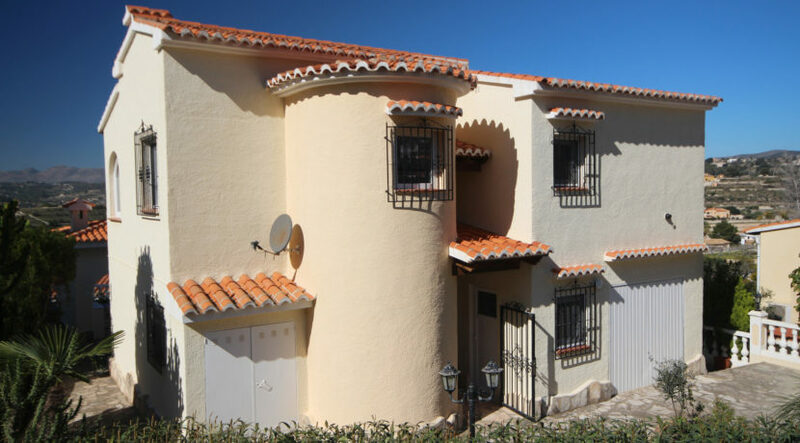 Outside there is a good sized integral garage and at the rear of the villa is a large covered summer kitchen with built in BBQ. 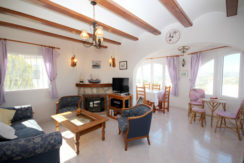 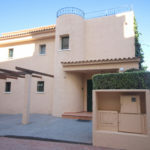 The villa is surrounded by a paved pathway with small neat gardens and only a short walk to the communal swimming pool. 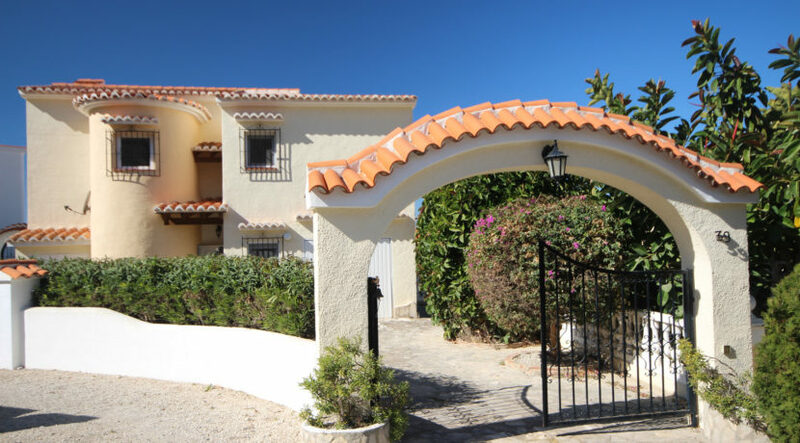 This is the quintessential lock up and leave type holiday home which would also be large enough for anyone seeking a permanent residence under the Mediterranean Sun without the additional upkeep and expenditure of owning a private swimming pool. 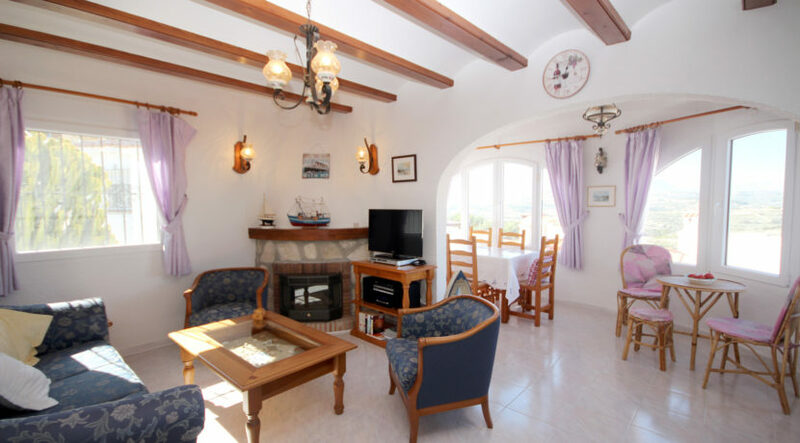 The property would benefit from some modest investment, but (when formally registered with the authorities) could also provide excellent financial returns from short term holiday rentals.